The members of the Alaska House of Representatives voted unanimously Monday in favor of a bill that would give Alaskans a new way to transfer property upon a person’s death. House Bill 60 would add Alaska to the list of 23-other states that recognize “Transfer on Death” deeds. Those deeds basically allow a person to transfer property once they pass away without having to go through the probate process in court. 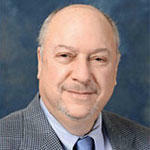 The primary sponsor of House Bill 60 is Max Gruenberg from Anchorage. He spoke to the bill before Monday’s vote. A “Transfer on Death” deed allows a person to pre-arrange a property transfer before their death, which can often avoid legal proceedings. Gruenberg admits that some estates are too complicated to be handed by a “Transfer on Death” deed but he claims that most estates in Alaska could be handled easily without costly legal expenses. “Transfer on Death” deeds were first recognized in Missouri in 1989 and last year an additional 3 states authorized their use. Alaska is poised to be the 24th State to recognize the deeds. House Bill 60 was approved Monday in the Alaska House of Representatives by a unanimous vote. The bill has been sent to the Senate for considerations. It’s been referred to the Senate Judiciary Committee. If the Senate wants to take up the bill they need to hurry because the session is scheduled to end on Sunday. Representative Max Gruenberg from Anchorage is the prime sponsor of House Bill 60 to allow the use of "Transfer on Death" deeds in Alaska.